While camping in the Pacific Northwest, Reese, a non-binary teenager and their sister, Jamie, a trans girl fall through a lake and get separated in a sentient forest created by beings from below the earth’s crust. To be reunited the siblings must overcome trials within the crystal maze. 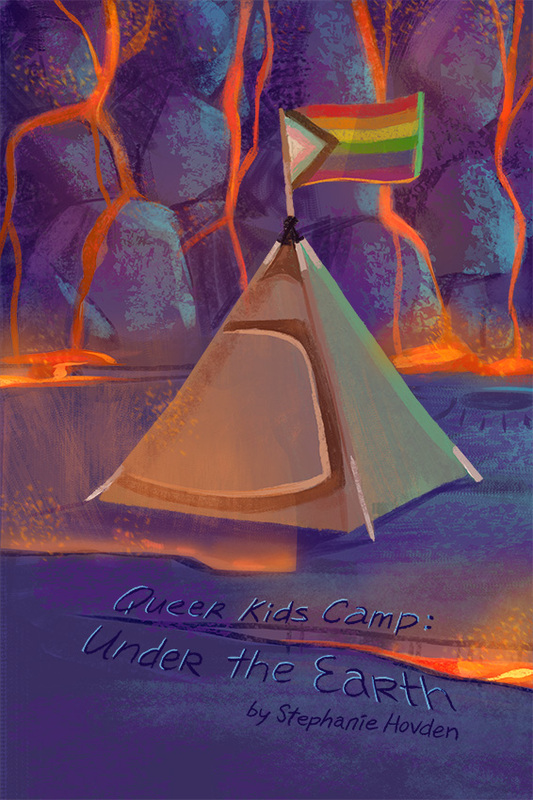 QKC: Under the Earth is a sci-fi fantasy adventure for all ages. 5.5 x 8.5, 20 pages, saddle-stitched, color cover with b&w interior.